Gov. 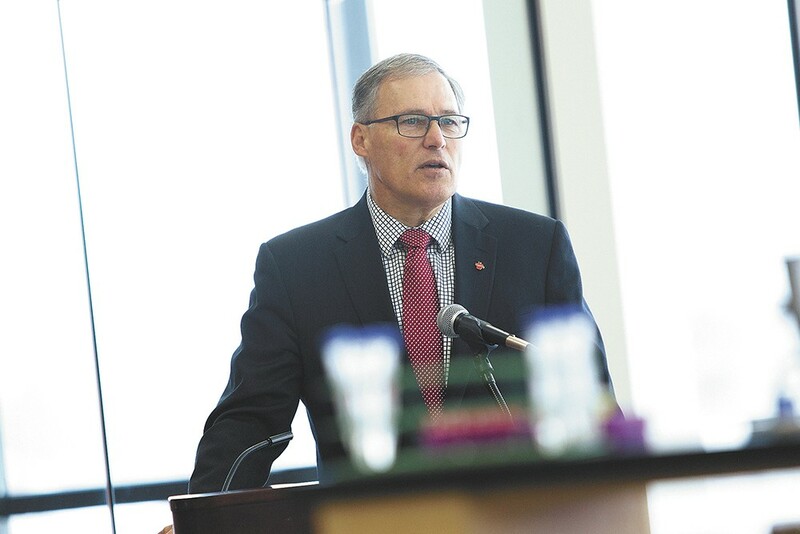 Jay Inslee has thrown in his hat in the ring. Brad King: The good thing is he won't be our next governor. Kathy Stoeser Lund: Wouldn't it be fun if he won all the caucuses but our superdelegates vote for someone else? Jack Eti Yak: Climate change and the environment are his signature issues? While promoting a coal-burning smelter in Newport on a non-industrial rural landscape of mountains, lakes, rivers and forests enjoyed by many of us on the scenic highways of the Selkirk Loop? That environment? Pat Low: Looks like he'll be a good stand-in for Al Gore in the not-to-distant future. Trent Reedy: Well, Washington is violating federal laws against marijuana. Sheriffs are violating the state's anti-freedom laws. Everybody's making up the laws as they go now. Mike Noder: It is not true that federal government trumps state governments. The powers of the federal government are specific and enumerated, all other powers lie with the states and the people. See Ninth and Tenth amendments. National security and immigration lie within the authority and just powers of the federal government. Patrick Terrill: Why doesn't the AG just ask a judge to issue arrest warrants for ICE agents who violate the constitutional rights of Greyhound customers?